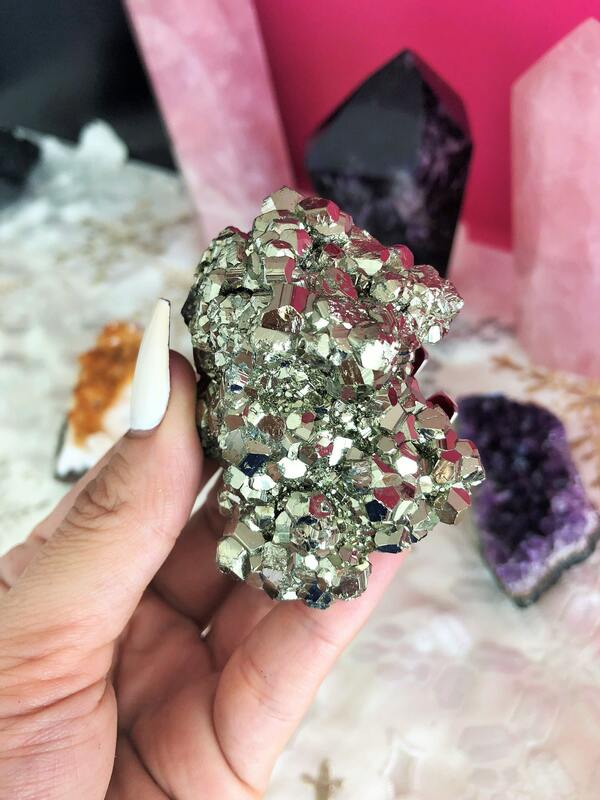 Receive this sparkling pyrite crystal. 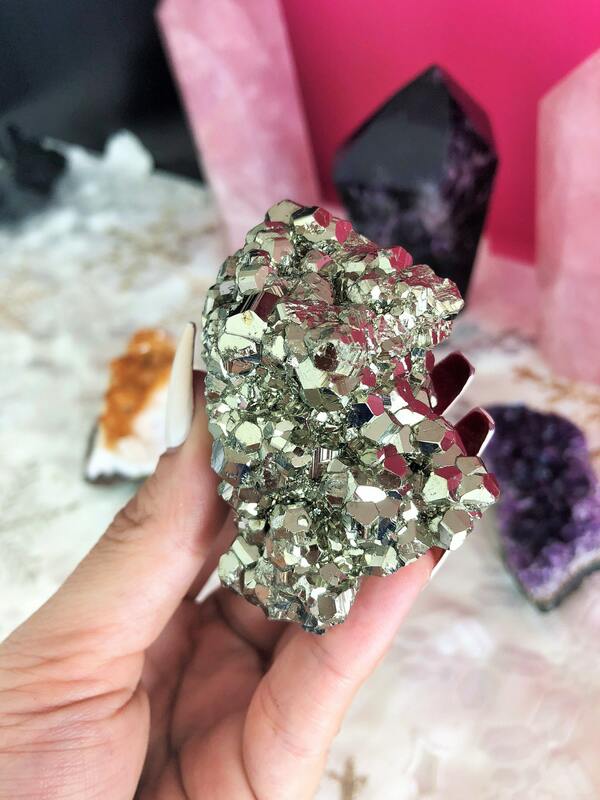 These crystals are believed to invite in abundance. 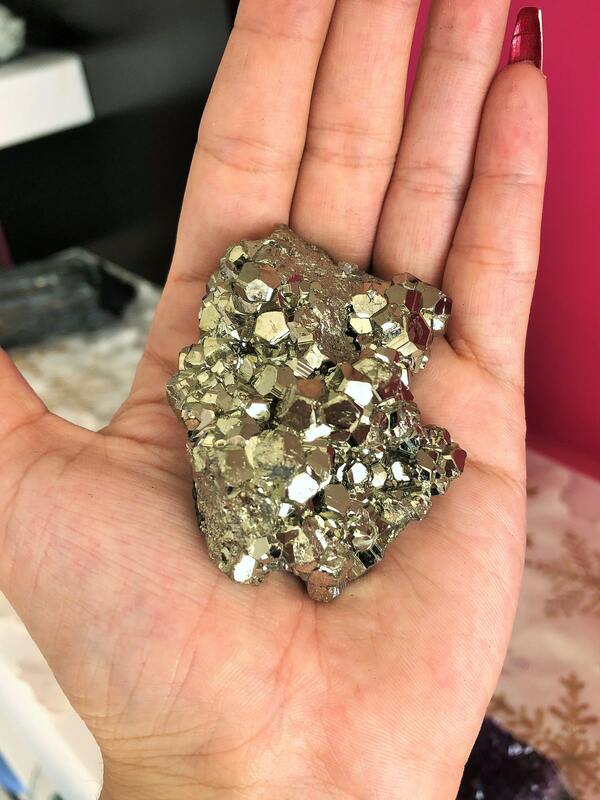 Gold pyrite emits energies that help you make thoughtful financial or business decisions by clearing and balancing your mind and emotions. 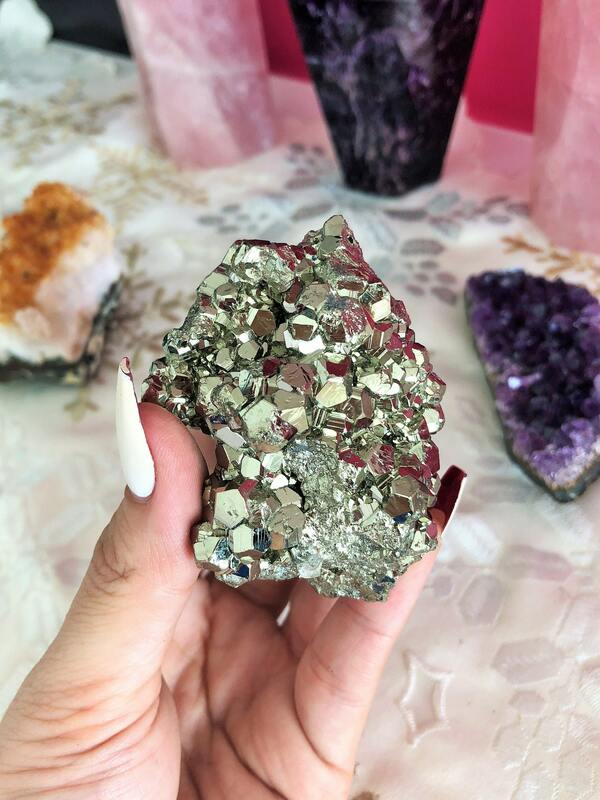 The raw pyrite properties also work with the solar plexus chakra which increases willpower. 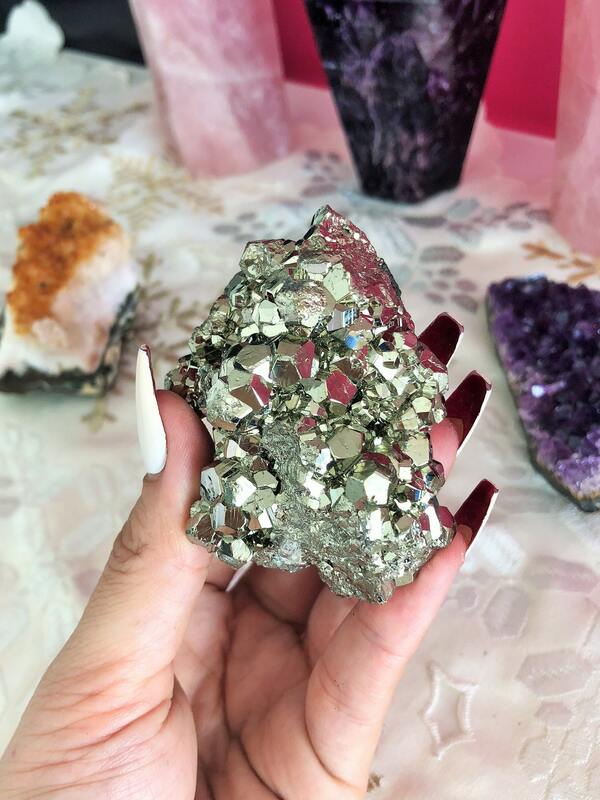 Pyrite also inspires an energetic boost for accomplishing difficult tasks. 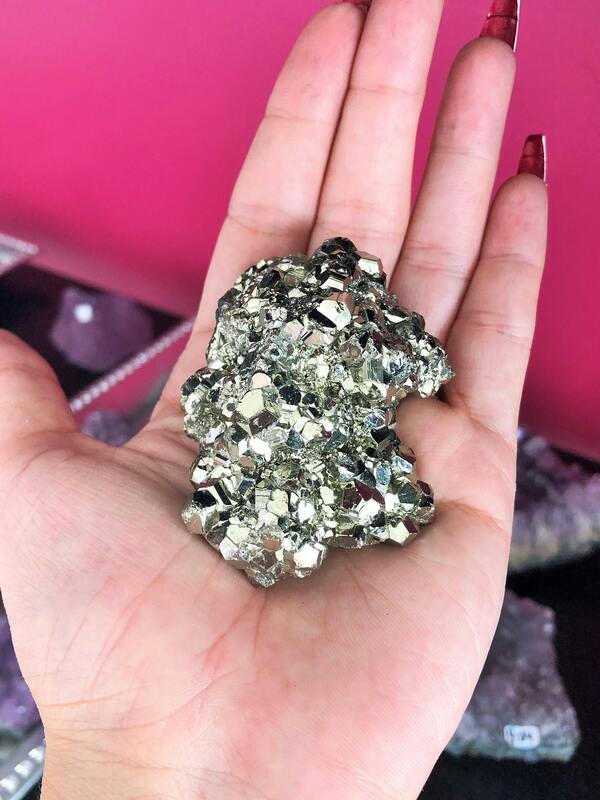 Listing includes the SAME Pyrite Cluster seen in the images. 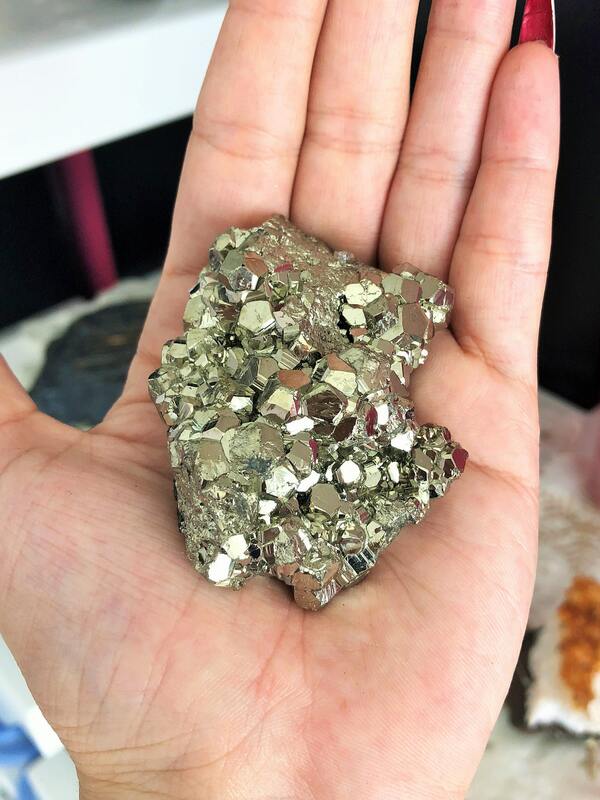 Pyrite is a strong stone to promote positive thinking and manifestation. It will impart a favorable energy to your business, so it is a fortunate stone to place on the desk where you are working. Also boosts your energy levels.